Whether you're new to the field or are currently a healthcare professional, our programs are designed to help you advance. Through a variety of short-term certificates, associate degrees and applied bachelor's degree programs, you'll build the expertise and skills needed to excel in higher-wage positions. We can help you achieve the healthcare career you’ve always wanted through one of the Allied Health Degree Pathways (pdf).  Education and Human Services Certificate program: Seattle Central College offers a Care Navigation & Coordination Certificate designed to prepare individuals who are interested in coordination and advocacy roles across health and human services systems. Certificate programs at Seattle Vocational Institute (SVI): SVI, a division of Seattle Central College, offers short-term programs in Dental Assisting, Medical Assisting and Phlebotomy. The pre-Physician Assistant pathways of our Community Health and Education and Respiratory Care applied bachelor’s degree tracks meet the academic admissions requirements for the Physician Assistant master's degree at the University of Washington (UW) School of Medicine's MEDEX Northwest program. For more information, please email AlliedHealthBAS.Central@seattlecolleges.edu.